With regards to enabling “reference transactions” from paypal, please note that ‘Reference Transactions' is a permission PayPal requires to collect recurring payment from your customer. However, we can send out an email to PayPal requesting them to enable Reference Transactions for your payments. "Complete billing solution in the cloud." The flexibility that this tool has, to carry out, all kinds of billing online, based on records, is great, it allows you to handle all types of money collection online, and apart from this, promote different types of subscriptions through it, the system is perfectly integrated with our needs, as it creates a fast and secure billing system, which is a nice system for users, so they can make all kinds of payments in a very agile way, recurring billing can be automated, allowing the renewal of different services, without the need to communicate with customers continuously. As for the recurring charges, a serious improvement should be implemented in this field, where the processes of cancellation of recurring subscriptions can be carried out automatically, the client when he wishes to cancel his subscription must communicate with the support and this is not from his I like it, not only for our clients, for us it is not very pleasant, the system should be completely automatic, or implement this option for those who want it, normally when a person wishes to carry out a cancellation it is because they have already decided to do it, in 99% of cases, you will always cancel the service, so that you lose more time by contacting the support, and so that you lose more time, if we already know that the person will cancel your subscription. Ideal tool to develop a complete system of subscriptions of all kinds in the cloud. We implemented a subscription service for our clients, where through it, we made all kinds of discounts and promotions, with a personal credit card, do it manually when I started the faithful client program, it was very difficult to control, with all the details that it brought month to month, thanks to this application we automated this process, and both the company and the support, got rid of a difficult load, which was being difficult to carry. "Chargebee has become a central part of our business"
Automation, automation, automation. From invoicing to dunning to customer notifications, we set it and forget it on 90% of our processes. Chargebee is laid out in such a way that makes it easy to manage the financial relationships with our customers. It was relatively easy to configure and the Chargebee team has been flexible, professional, and responsive. Coupons. There are some strange restrictions in place that make discounting a difficult topic. You can do percentages and/or dollars, but not more than one of each type. You can't discount a dollar amount from all units of a particular line item. The restrictions are just difficult to wrap my head around and accomodate. Start with the cleanest data you can. Take the extra time to get data out of legacy systems and homogenized into a clean, consistent, quality dataset. All subscription management and billing automation. Customer-facing portal to update their payment information. Partnership-based billing (VARs). SaaS reporting through RevenueStory. "Easy-to-use billing & subscription management for SaaS businesses"
I love how easy it is to manage our daily billing operations. Creating and changing subscriptions, applying coupons, the whole proration system,...it's just very easy to manage your billing ops. Chargebee takes care of everything automatically. I also like that they provide us with free subscription analytics with their new product RevenueStory. Their support team wasn't very reactive when we first started, but since then I've see that they made a lot of improvements. Their support team has become reactive and effective, so no problems about that anymore. Also it would be great if we can have some advance filtering when it comes to subscriptions. We tag our churned clients by reason. In Chargebee we can see who churned, but we can't filter them by tags. That would be a great feature to add! This way we can work with data straight from Chargebee's dashboard. We're a SaaS business, so we completely rely on Chargebee to manage all our subscription and billing operations. Chargebee offers us a simple platform. We're able to keep track of each client with and also our churn thanks to the integrations they provide. They provide easy, interpretable data on our business which is a great advantage! Chargebee is at the center of our business and we just can't do without. Thanks for building a great product. We are glad to know that our support team has been very helpful. With regards to advanced filter options, we do have the functionality to filter using cancelled reason, provided the cancellation is triggered by the system i.e. due to “Not paid”, ”No card” etc. If it’s cancelled due to any other reason, you can manually enter it in the form of a “custom field” and filter using the custom fields. We would be happy to understand your use-case and assist you better. Can you please write to support@chargebee.com? We will get back to you at the earliest. "A Robust Client Portal With All The Bells And Whistles "
Chargebee is an important tool that will save you business time and money. I love the feature sets such as proration, subscription billing, and the client portal. This tool can get pretty technical at times. I found the test site to be useful but when transferring all of that test data to the live site I found a few of my settings to be missing. It's probably better to just develop on the Iive site first and just be done with it. Thank you so much for taking out time to review us. We really appreciate it. With regards to issues in transferring data from test to live site - As you handle customer billing, we recommend you first try it out on our test site, and if it works fine then you can enable it on your Live site. Having said that, if there is anything that needs to be transferred to Live site going forward, we will be more than happy to assist you on this. "If you use Chargebee, Salesforce and other canned integrations... READ THIS REVIEW"
The actual platform is excellent, just don't use their native integrations. - Actually use Salesforce, go through your documentation and see if what you are stating the integration provides, actually works. That is the best way to start. - I use no constraints, or anything that would effect my integration to Salesforce as it pertains to their stated integration. - Their stated integration/documentation to Salesforce, ABSOLUTELY does not work as described. - Duplicate Account records have been created, hundreds (they have resolved this), but I have to manually monitor. - Lead conversion does not work as described in their documentation. - Opportunity creation does not work as described in their documentation. - Changes to the workflow have to be done by the development team. This is for standard functionality. - Other out of the box integrations that they claim have also proven buggy, so anytime I can use Zapier or equivalent to accomplish what I need to do... I in the process of evaluating if Salesforce integration can be accomplished via Zapier for my non-unique needs. If you are using Saleforce, please re-consider until you can thoroughly trial (with completed transactions, billing, opportunity and trial flow into Salesforce). Excellent base platform. Integration development team needs "refactoring". Thank you for taking time to write to us a detailed review with your feedback on G2 Crowd. Firstly, I am truly sorry that the Salesforce integration did not meet your expectations. We acknowledge that there has been documentation gaps on this and we have plans to address them. We at Chargebee strive for superior customer experience and it is really unfortunate that your feedback was not addressed early on. Having said that, we are extremely grateful to see that you’re continuously working with our teams and acknowledging the progress we’ve made on this issue so far. Please be assured that our product, support and the entire management team are closely working on this to make sure you have a seamless experience with us going forward. Hope to see you as a happy user on all counts again soon. Have a great day! We're a small startup and were looking for an alternative to our very impersonal Xero recurring invoices that were being sent to our customers every 12 months. Chargebee "just works". Everything I want it to do works perfectly, from the invoices and subscription management, to the bonuses like RevenueStory! Go for it! It might be a little pricey (although you get like $100k of revenue free to start with) but it's super robust, super fast and just a great fit with anyone wanting a subscription management system! We had a terrible invoice management system, with customers missing, and lost revenue. Chargebee fixed all of that for us. I can’t thank you enough for your positive review. We really appreciate it. We’re so happy to know that Chargebee has helped you with your business requirements. With regards to the Xero integration, please contact us via support@chargebee.com if you are facing any difficulties, and we will be more than happy to assist you. "Awesome solution to get my subscriptions and payments under control"
Super easy to set up. The app is well designed, you find everything you need where you would expect to. Clear articles explain to you all you need to know. And the support team is awesome. They give you migration checklists so that you don't forget anything before going live. The API is also rather nice and well documented, with an existing Ruby adapter that I could use in my case. It's more like a feature request. They've built a Checkout Portal that makes integration on your site super easy, but it doesn't cover (yet) all the scenarios. Creating and updating a subscription is ok, but to add a non-recurring addon or one-time charges you need to go through the API (which works great too). Go for it especially if you need to handle several payment methods like card & direct debit, with recurring subscriptions. I was managing subscriptions internally and payments in GoCardless. It was often hard to reconcile both and a nightmare for accounting. With Chargebee, I have all the information in one place. It also handles the failed payments with the dunning feature, so I don't have to deal with that. It addresses the reporting as well, meaning I don't have to develop my own reports in-house. Regarding adding non-recurring addon/one-time charges on our Hosted pages, we would like to inform you that the feature is already on our product roadmap, and we will update you with an ETA as soon as we get more updates internally. "Chargebee makes it stupidly simple to run my SaaS"
Chargebee allows us to focus on what adds value - building features for our paying customers - rather than developing and managing a complex billing service. Invoicing, dunning, hosted pages - lots of value for our growing SaaS! I would have said Chargebee's reporting/analytics, but they recently launched RevenueStory, a companion product available on some tiers and it's incredible. I still find myself using the reporting features inside of Chargebee for day-to-day numbers, and jumping over to RevenueStory when I need more detailed reporting. Chargebee provides a layer on top of billing processors like Stripe to make it easy to create and manage accounts, offer trials, offer discounts and all can be managed via a hosted platform off our site. Roll out was easy, and we've continued to integrate more features into our app over time when the need arises. It's like having a swiss-army tool for billing, ready and sharpened! Thank you so much for writing this review. It just made our day. It’s our pleasure to know that the entire setup and integration process has been easy. And so good to know that Revenue Story was able to fulfil your Reporting requirements. "Set it and forget it....No Worries." I really like the simplicity of using Chargebee. I connected it to my Stripe account with ease and was able to set up the payment pages and thank you pages very easily without looking at any documentation or instructions. I think they designed it to be intuitive and simple to set up...it's great. I also like that I'm getting to use the product for a while before having to commit to a paid plan. I can't really say there's anything I "dislike" but I will say that I won't complain if they create a Chargebee App so I can easily see my account on my phone. I'm using my web browser for now and the screens are fairly mobile responsive. There's a no obligation trial period so I would recommend you give Chargebee a try. It's easy to set up and it simply works. You've got nothing to lose. I was looking for a way to collect credit card information from my clients which could be used for monthly recurring billing on autopilot. Chargebee is the solution I found which collected my client's credit card info only one time upon initiating service, and then stored that info securely to use it for future monthly billing. It makes my job very easy, I collect the credit card info one time and then I just get paid every month for servicing my clients. It's never failed me and I trust that it will keep working. Thank you so much for such a positive feedback. "A smart choice for any SaaS business"
I have found CB to be a big time saver, it's very intuitive and wherever you are on the platform, customer payment details, product catalog, a specific invoice, everything you'd need to see is either right there or an obvious click away. Looking at the historical payments data is simplified into a single view, and editing products and plans can be done in seconds, and updated across the entire customer base. It can be unclear sometimes whether VAT or taxes will be applied to the custom amounts you enter for one off charges. I have found that I've entered amounts only for taxes to be applied, when it wasn't clear that it was applicable to that customer. Prompts in the platform, or a clearer summary view would help this. Thank you for so much for your review. Regarding taxes applied on custom amounts, we have the preview option that shows information on tax to be collected while a one time charge is applied. However, this is shown only when 1) A country is entered as part of Customer’s Billing address, &, 2) Tax is configured on your site. We would like to understand more about the issues that you are facing and can assist you over a call or email. Can you please write us to support@chargebee.com? Super simple ux/ui, intuitive platform that I actually like using, if you are considering using this platform at least start a trial and see how easit it is to use. The dashboard and monthly reports are always super helpful. Easy to use between teams - finance, developers and sales. I always have chargebee open on my computer as it is something that I can simply check and be updated on where we at this day, week, month - without having to dive super deep into accounts and self caluculate. From the support we have recieved, we are happy with the product - only issue is the slight changes in catered enterprise plans as mentioned below (otherwise AMAZING service). Some of the structures around creating catered enterprise plans are hard to work. Really really minor, when you are copying an invoice date, it atomatically clicks though, it really doest even count as an issue, just a minor thing for my usecase. Every person I have recommended Chargebee to has ended up signing up and loving the product! Thank you so much for leaving us a review. Nothing makes us more happier than a feedback like this. We are glad to know that you like using Chargebee. With regards to the issues that you have mentioned, we’d like to know more to understand this better. We will contact you via email at the earliest. "ChargeBee and its team have proven themselves in multiple scenarios"
I'm often wishing that it would be easier to integrate ChargeBee with one of the major Identity Management systems such as Azure AAD B2C. Use their time machine to test, it is really the only way to be sure you have things really right. In my case, many of my customers are established industries that are moving into SaaS. Integrating with their existing ERP-backend systems is crucial. This is easy with ChargeBee, and on-line SaaS, their core business, is all one could ask for in an international landscape. Thank you very much for taking out time to leave such a kind review. "The only solution who helps to get started"
The most I like is the fact, that I was able to start my own business without investing a lot of money every month. Chargebee's great price model helps me to start small and grow the business until I reach a certain revenue level before I have to pay any monthly fees. The fact if once it's set, it is so easy to add new customer, subscriptions and more, and it does take care of all the interactions with your customers, so it won't be forgotten. The dashboard gives me a quick and easy overview about all my payment processings, and if there's something I have to give em a closer look, I just click on it and it will show me all the details. When I have a new customer with no payment method added yet, I'm not able to add a new subscription with "Auto Collection" = on, so as soon as the customer added his payment info, the payment process is running. I always have to change it manually after the payment info was added. Test it out, once it's set it's easy to use and doesn't need a lot of your valuable time. I don't have to make my own customer front-end and I'm able to configure the Checkout & Service Portal very flexible, what I allow and not allow customers to do. Thank you so much for this review. This really made our day. With regards to auto collection, please note that if “Attempt payment collection when payment method is added” is enabled in “Billing rules” under settings, the auto collection automatically turns on when a payment method is added. We would like to know more about your use-case and discuss this to assist you better. Can you please write us to support@chargebee.com? "Great way to manage subscription customers"
It was really easy to set up, and you can start without coding anything, using their hosted pages. This let us experiment without costing the business anything initially. It's not the most intuitive system to set up, because you're trying to manage something that's intrinsically fairly complex. It's a reliable solution with a generous free trial. If you're looking for a way to manage your subscriptions without needing to write code (initially, at least) then Chargebee is well worth a look. We had an initial business model that was purely usage-based (B2B software platform) but moved to a subscription and I wanted something to help manage this. Chargebee also handles Stripe payments for us without our having to build our own payment system. It's given us reliable monthly revenue over a long period and is really easy to set up and manage once you've understood how it works. It’s a pleasure to know that you found Chargebee easy to setup. We are constantly working towards giving a good user experience, and we’d like to let you know that we’re in the process of making our UI more intuitive. We've found the Chargebee product very easy to configure and use and when we've had questions, the team has responded quickly and helpfully. Their customer service is among the best of the products we use. The product itself is also well designed from a user interaface perspective and the reporting is great. Not a dislike, more of a feature request. We have a mix of subscription and one-time purchase options; we've had to hack a way to manage our one-time products alongside our subscription. It works, but we'd love to have it be more native to the program. We are a software-as-a-service business; Chargebee handles all our subscriptions and customer information. It's been great having it all handled so smoothly; we rarely have to do anything but just let it do its job in the background. Low-maintenance, high value. Thank you so much for this positive feedback. We are overwhelmed. "Very efficient and powerful solution for recurring billing"
Chargebee covers almost everything we need to establish reliable recurring billing system. The process of integration with our own back office was quite straightforward thanks to a very good API documentation. They have responsive support, willing to find solutions and even offering some non-standard ones. I'd like to see integration with more payment gateways, the ability to issue invoices on behalf of multiple entities, better support for multiple languages in PDF invoices, better sync with QuickBooks when accepting payments in multiple currencies. We were able to replace our self-made billing with a robust system. Chargebee allowed us to cut significant time on development, and at the same time offer a full-blown recurring billing solution to our customers, with flexible billing plans, proper invoices, integration with payment gateways out of the box and so much more. With regards to different integrations, multiple languages and invoices, I’d like to understand what customisations you’re looking for. I will email you with more details on this as early as possible. "Chargebee has made our ability to manage client subscriptions and payments quick and easy." We use multiple sources for our payment & Chargebee makes it easy to manage all of this as a unified solution. The interface is really intuitive and provides meaningful dashboards. Quick turnaround times in support. Earlier we used another product, but we moved to Chargebee because of their excellent customer service. There are a few places that improvements could be made; the UI/UX could be upgraded a bit to be more user friendly for those just starting out with the tool, app cues should be helpful too. The Salesforce integration is rudimentary and could be improved upto a large extent. More integrations released at regular intervals while the current ones are being optimised. Go for it as you can accept payments from various sources like card/ACH/SEPA Direct Debit and accept recurring payments apart from the other additional features. It removes the pain out of subscription billing. We are able to collect recurring payments from multiple different source with auto-collection on card as well as direct debit. Pricing experiments that help with analysis and come to conclusive rates. "Details are critical and ChargeBee gets them right"
ChargeBee nails the details. Product loves it, developers love it, and most importantly: our customers seem to love it! Good documentation, great UX/UI, fantastic support, easy to manage and set up. JSON did not carry over when we ported from Test to Live, meaning there was a lot of copying and pasting of JSON back into Plans. Other than that, ChargeBee has been a pleasure to work with -- which is a huge compliment considering the market their product deals. ChargeBee will give you confidence that you can set up and manage a large, complex SaaS software sales and entitlement system. ChargeBee is really flexible and configurable. We stood up the first SaaS sales system at TouchCast with relative ease. ChargeBee, with the Stripe and SalesForce integrations, means we can make CB our turnkey, master system with supplying entitlements to the client applications while noting all sales records to SalesForce. I run a bicycle electrification service and Chargebee allows me to concentrate on making customers happy instead of following up on payments. Despite trying other solutions, Chargebee is hands down the best. Their generous free allowance gives my company the breathing space to perfect our service. I recommend Chargebee to all my fellow founders. There's an initial deposit that I require from customers. After the bicycle is converted the membership is considered as 'started'. At the moment there is no simple way through the UI to achieve this type of payment setup, however, I managed to get it done using the webhook/chargbee node SDK + firebase functions. The best traction is $$$ so instead of building out a fancy website I set up chargebee and went out to look for customers. 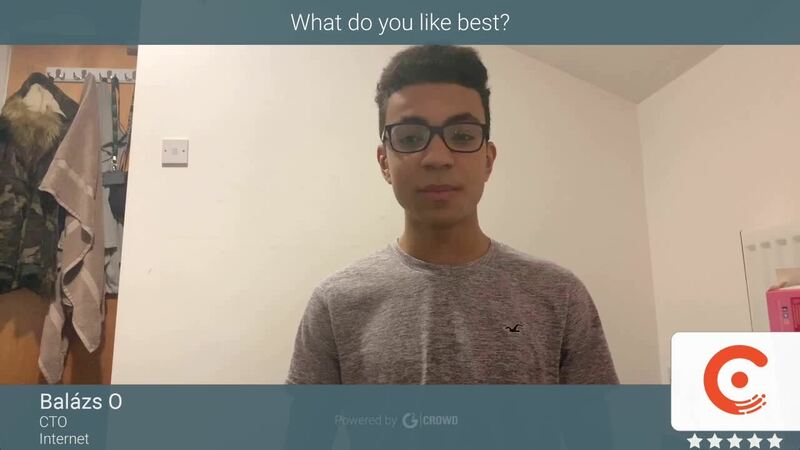 It’s a real pleasure to know that you are happy with Chargebee. "A long starting process but end is now in sight!" Chargebee is well designed, very straight forward and easy to find what you need quickly. The best feature by far is the wayback machine (and the cool DeLorean cartoon), it allows you to start at a previous date and work forward as though your subscriptions age naturally. While they do seem to roll out new features on the road map, they are missing some extremely key things that would be simple to implement (if you ask they give you the "Great idea, we will look into it later"). One of the BIGGEST dislikes was that when you use the wayback tool you are then unable to use & test the user billing portal which is a key part of the solution! This is all because the portal requires sessions that expire and no one thought that they should allow consideration if the site is in test mode and running the wayback tool. It just seems odd that key bugs like this are just not fixed overnight! It has a very generous startup plan which is a plus for new businesses, but watch out for some features you would expect included as they are only in the top plan! I am using Chargebee simply because the project I am working on is already of a large scale that building an entire billing system as well would push back the go-live too far. So it has helped with our schedule of release. Benefits wise it has actually given some great insights into the way a dedicated billing tool is made up and what features work and what doesn't - we will eventually replace with our own billing platform so this will benefit us in knowing the key features we need from the start. "May your payments save your time." I'm glad that I can easily configure and control renewals, proration. The better integration of the other payment processors. much faster to use online, offline and of course allow payments in any form they come. I can simplify accounting with pure and exact records. Honestly, I don't have any bad problems with this software. I haven't seen any errors in the payments system. Now I can say that is the great way to increase our company. If you will choose that platform you will have the most wonderful payment system. This software will keep you informed with a daily report you with your main SaaS metrics, you’ll never miss important matters. The product which is really easy to install and use. I recommend it to you. With this software, we can focus on increasing our business. This platform can balance with definition, protection, and compliance with the simpleness of access. With all of this, we can allow we never have invoice worries again. We like to work on this platform. "Easy to set up solution with great support"
It is easy to set up and to handle, does pretty much all it needs to do. The support ream is really great and helpful, there are very regular updates and a great transparency on what is coming and I actually enjoy their newsletter & blog. Also, their integrations are on point, and it is really easy to add API keys and webhooks to additional services. Not a whole lot. The interface could be upgraded a bit. There might be some integrations I would like to see happening, but nothing urgent. By all means, compare the different services out there, but definitely give this little bit smaller player a chance. They won't dissapoint. For a company in need of a solution to handle recurring revenue, this is a great solution. Even the checkout pages are hosted, so really can be done without too much technical knowledge. "still some features to add but, a solid company & foundation for commerce"
the service is very easy to set up and get running very quickly. I also appreciate the company spirit and their responsiveness to customer feedback. They are a company willing to learn. (note: they are making innovations all the time and adding new features) - my biggest complaint would be the inability to really adjust the checkout process. For example, add check boxes for item options, or one-click up-sells, etc (without coding). in it's current state at the time of writing this revue, chargebee is perfect for very simple subscriptions. Choose an item, enter info and done. Adding checkout options, add-on items and variable products takes a bit more work. but they are working on it! i'm now able to collect recurring revenue!!! Despite and complaint, the bottom line is that Chargebee has provided the ability to collect recurring payments and now i have PREDICTABLE income. "Chargebee is easy + efficient"
Chargebee's layout is easy to use and navigate. The important information (i.e. type of subscription, frequency of payment, payment history) is all available right up front. Non-important information is hidden and you can access it with clicks. I don't love that I can't see easily who is in a trial vs. who is actually a paying customer. Also, sometimes when I need to extend a trial for someone I cannot get the window to appear. Little things. Chargebee connects with Hubspot and other CRM platforms.. take advantage of that! We can manage a subscription based platform easily with Chargebee! We don't use it for one time payments that often but I'm sure it's easy to use. Thank you for leaving us a review. We really appreciate it. With regards to viewing trial and paid subscriptions, it can be done via filters and there is an option to even save the filter which can be retrieved as and when required. "Like to be around with Chargebee"
Clever retry logic to restore lost income or calculate it. Now we send to customers beautiful and clear invoices and they really like that. Anything that I need is near me, all financial tools and reports. That is the point which I like it so much. Really nothing to complain about it. Everything is fine. No meaning to change something. Very good software and works really good. Nice software and so simple, easy to use and allows to configure every single unit of the payment process. Actually, it's better to use it to help you with your business. Just try it yourself. Chargebee allows to run pricing experiments and you will know what you do right or wrong with the pricing model. Now not just the developers can manage subscriptions first-hand. Our company using this solution about 1 year and happy with it. "Outstanding support, excellent, well-implemented documented features and easy integration"
The ease of setting up, the continuous upgrades on the platform, but first of all the very excellent, helpful and friendly support team. Whenever we have had questions on our integration they've been addressed promptly, and our feature suggestions have been taken seriously by the development team. We have suggested a couple of features to the dev team, more custom reporting, a little more control over the checkout experience for some corner cases. But most if not all of this is already possible via the API so it's not a big deal. They take you seriously as a customer. The feature set is very well thought out and flexible to meet different business models. Moreover, they are continuously developing their platform so you can expect new features to be added. Seamless integration with our own systems, website and apps. Users get their own control panel from which they can manage, cancel or upgrade their subscriptions with almost no code required on our part. Great support for email notifications for users on subscription changes. Thank you so much for your detailed feedback. We really appreciate it. We are so glad to know that our support and features has been very helpful. We will definitely pass on your feedback to our Product team. "Great tool with even better support"
We are using chargebee for over one year and it was super easy to integrate in our system in terms of connecting the API and charging customers via Stripe etc. Whenever we had an issue, we got great support from their support team, also on a technical level! We have a quite complex setup when it comes to charging. There are a few things, especially on the invoice, that can't be modified to fully support all our needs, but there are workarounds. Thank you so much for the review. We so appreciate you taking out time out to leave us this feedback. We are super happy to know that you find most of our features useful and simple. Glad to know that our support team has also been helpful. Regarding negative amount for a line item, I would like to know your use-case to assist you better. If you are referring to promotional credits or coupons, please note that it is automatically displayed in the invoice. "A bit tricky for what I need it for, but it can just about botch together what we need." The fact that it is free for the first 50,000USD that passes through the system. And even after that, it is affordable. It is also the only subscription payment based software has been able to offer me all the flexibility I need for my subscription plans, whilst also making it easy for my customers to change their plan to a different one with ease, without needing to cancel and then resubscribe. I dislike how complicated it is to use. I have slowly learnt more and more about it and how it works and have now learnt there are lots of useful bits to it, so I can forgive it a bit. ChargeBee does the job for me, but depending on what you need it for it may be unnecessarily complicated. Look into 2-4 options before deciding on your subscription/recurring payment database for your customers. I needed a subscription customer-database that would be able to integrate into my SquareSpace website, charge recurring payments, have custom forms for my customers and have a user friendly customer portal so they can change and edit or update their subscription plans for our subscription box service. "Solid Performer with great support"
The best part about chargebee is the support and how rock solid the billing is. Its easy to use and suits my business well. We bill IT services and manage all our customers billing in house. We don't let the customer manage their own billing at all so can't speak to that.help documentation is very good. Quickbooks sync is on the top plan which is annoying (EDIT: to be clear, I meant the middle plan. (not enterprise) this is the $299 plan as of this review), but other than that its good. Some features can only be enabled with a support ticket but im sure they will fix that. Changes to a % instead of a per invoice model is annoying (Edit: I will be able to stay on my old grandfathered plan though) but the transition was communicated well. Customers get annoyed with all the emails, but these can be managed with a bit of config. Does what it says on the box. User portal seems to be good too, customers don't have too much issues adding their own credit card. Being able to bill every customer with credit cards monthly is a great time and cashflow thing. I couldn't make any money unless I automated these functions. Some products like Office 365 are extremely low margin so having a solid billing platform is excellent. "All you need to manage a SaaS startup"
When I decided to build my startup and I needed to set up subscription management and invoicing I became really terrified by the amount of things I had to implement not excluding managing all the different VAT rates for EU countries. It was a total relief finding Chargebee. They take care of everything! From user registration to payments to invoicing and user self service admin. I could avoid developing my own credit card checkout and use Chargebee ready to use solution. I was up and running so quickly. The export features doesn't enable exporting invoice payment transactions from Stripe. For me it's important to know the amount converted in Euro from the Stripe transaction. It's the only thing I had to implement myself (with a script using Stripe API) for exporting the data to my accountant. Also, it would be great if it could be connected to the new Italian fiscal digital system. Recommended, it's a complete solution. It's a ready to use full subscription management solution, there's no need to think about anything and so I can focus on the real features of the app. I was able to get the thing up and running in a few hours with no issues. If I had to do it myself it would have required a lot more time also for maintenance. It's such a critical part of the business that it definitely deserves a dedicated solution. Thank you very much for taking your time out to leave us a review. It’s a pleasure to know that Chargebee was able to solve most of your business requirements. "Easy to launch. Easy to scale. What more could you ask for?" Reliability. Setting up these systems can take a bit of time when done right. Like Chargebee, the best services are the ones that do not require constant maintenance and troubleshooting when new features or updates are released. Chargebee has never had a glitch. My initial setup still last to today, and as I scale and need more features, it's ready and easy to implement upgrades, new items, new customers, new billing, or newly added technical features. I dislike the depth of the customer dashboard. I would like to see an expansion of custom communication and metric features. Fur us, Chargebee is a subscription platform to a physical service (food waste collection program) for our community. It would be great to be able to store personal metrics like waste diversion numbers, invitation to events, and other various communication options to improve customer relationships. No dedicated staff to handle billing. No technical assistance to build a la carte technical solutions on our own servers/pages. Chargebee makes it possible for a single owner operator to manage both things. Without chargebee, we would not be able to provide our service without hiring additional staff and programmers to facilitate the complexity of service that chargebee allows us to provide with ease. Thank you so much for taking your time out to leave us a review. We really appreciate it. With regards to dashboard, our Revenue story offers more flexibility and an intuitive dashboard. Regarding storing additional metrics, would you like to try out our “Custom Fields” functionality? I will send you a detailed email on the above mentioned features soon. If you need any assistance, please feel free to write to us at support@chargebee.com. "The best recurring payment management platform I've found"
The ability to manage recurring subscriptions to a very powerful level. Stripe is my favorite payment gateway, but it's focused on the API/developer side, so Chargebee gives it the front end that Stripe doesn't include. The pricing plan is incredible as well, I hope they never change it. You can get started for essentially free, and only when you really start taking advantage of the platform, does it switch to a very small fee that's completely fair. Some of the advanced branding settings etc could be a little more intuitive. They're not without thought, but sometimes they can seem redundant. But considering the advanced nature of the platform ( the single best I've ever found yet after looking through essentially every option on earth), they handle this plenty smoothly. Like in the onboarding for example. Only semi-annoyance is that the way that it bills doesn't show up as a subscription in Stripe Dashboard. So you can have live subscriptions in the Chargebee dashboard, but not in the Stripe Dashboard. Ultimately it doesn't really matter because the Chargebee dashboard and reporting is great, but it would be nice to be able to use tools like Get Control to get deeper into Analytics. It's excellent for managing customer subscriptions and not only starting or ending them. We're using it with over 4 businesses running MRR based business models and have pushed 10's of thousands through it, and it hasn't had an issue yet. It allows us to include addons, trials, pause subscriptions, etc. All of those things are hard to do or impossible with other options. Chargebee lets me get up and running without a trial or expensive monthly fees when you're just trying to build your business. In addition to that they have the easiest to integrate web portal, and great dashboards and controls to keep you on top of how your subscriptions are doing. I wish that they would give me more internal email notification options. It would be great to be notified every time someone signed up, or if an invoice wasn't paid. Try it out! There is little to lose with their free pricing tier. Chargebee helps me leverage a SaaS business model with little to no development or setup overhead. The flexible pricing, and generous free tier makes me comfortable partnering with them. So far I have tried several solutions and Chargebee was the only one that actually led to a converted customer! With regards to email notification for events, we do have offer the functionality to BCC all or specific emails that are sent to your customers. In order to be notified during sign ups and payment failures , you can add your email address in BCC in the onboarding emails and payment failure emails. "Fast and simple to get going, but very powerful"
It has been really easy to get set up with Chargebee from a dev, sales and support perspective. Ease of use is what makes us happy! Not much to dislike really. Exporting our dashboard data would be great. This will get you going quickly and you can guarantee good support when you come up against any issues. Particularly like the free entry plan which allows you really get a feel for the product. With Chargebee we have turned around getting our SaaS tool off the ground in very little time. This has enabled us to start generating revenue from a very early stage. Thank you so much for leaving us a review. We really appreciate it. "practical and efficient billing system"
We would highly value QuickBooks integration, but at the moment there's no possibility for this. My recommendation is: automate as much as you can from your daily billing tasks, especially recurring ones. Chargebee provided us the possibility to set up the Shop section on our site (we are providers of SaaS). Now customers can pay online with their credit card, recurring payments are automated and always accurate and collecting the money is a breeze. All in all it's a good way for automating billing-related tasks. We are happy to know your integrations work well with Chargebee. If you are building a B2B Platform and don't want to reinvent the wheel by building a bespoke system, ChargeBee is it. Everything we have needed todo has been attainable. As mentioned previously, one of our biggest reasons moving to ChargeBee was the ability todo Consolidated Invoicing on behalf of our customers. Chargebee saves a lot of headaches. Before we implemented them, we were using paypal payments pro to manage all our subscriptions. We had to write a lot of code to make it work! Switching to chargebee allowed us to remove this code and let them handle it. In addition to streamlining our subscription process, their reports have been great. Previously we had to create a spreadsheet every month to figure out our numbers. They do this for us now! And lastly, their support has been great. Very helpful and responsive. Although I like their reports, they still could be improved. It would be great if they could implement something closer to chartmogul which analyzes MRR amongst other KPIs. But maybe that's why chartmogul exists which integrates nicely with chargebee. Hours of time committing to development and support have been saved by switching to chargebee. With a growing subscription base and multiple product offerings, Chargebee saves us a ton of time managing these subscriptions. Pro-ration, automatic renewals, payment reminders, automatic cancellations – it's all there. You can just set up your subscription system correctly and forget about it. And I'm sure we're not using all of the features. Consolidated invoicing is a bit clunky – does consolidation on a monthly basis only, even for annual plans, which is not what we want. Dealing with resellers is hard because they need to get a quote prior to every renewal and that's not supported. We really appreciate your kind feedback and happy to know that Chargebee is able to fulfil most of your business needs. With regards to Consolidated invoicing, we would like to understand more on this. Can you please write us to support@chargebee.com with your use-case. We will be more than happy to assist you. "Integration of the billing system"
Chargebee simplifies hosting customer portal pages and checking. Limited need for knowledge of the API and customization. A very simple and intuitive tools, Plug and play, to quickly get up and running. I like that test site fully reflects the main site. That makes it easy to try things staged before running live." I'd like to have more opportunities to integrate Chargebee with e-mail software. Just do it. I think it's fabulous! Personally we haven't pursued it yet, because we are not at that level. But will implement it in the future. It is great that it handles direct debit. It has better handling of refunds compared to a previous solution we were using and the credits and partial payments are superb. It would be good to see better coupon handling, especially for fixed coupons. However there is a promotional credit solution which allowed us to do what we needed. When we switched to Chargebee we found many benefits along the way and they have extremely good support and API documentation. The ability of handling direct debit payments and having a better refund solution. 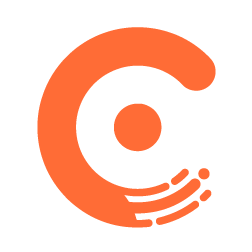 Chargebee handles pro rata superbly. Thank you so much for your review, we really appreciate it. The main reason we came to Chargebee was because all the logic they implement over the gateway of your choice. This gives you the flexibility very few provide. Aside from that, their constant improvement to their UI, great filters and flextibility for reports, incredibly well implemented logic for any kind of purchases like subscription, coupons, addons. Awesome API, extremely well documented and quick responses. Webhooks never fail to arrive and don't have inconsistency. Their customer support is not very efficient, but still, all the features and backend they provide is quite awesome. Read the entire documentation. It's very well written, and it'll help a lot when writing down the code for integration. It's worth it; a lot of implementation time will be saved since Chargebee does everything for you. Thank you so much for taking your time out to leave us a review. We are so happy to know that you are happy with our UX/UI, Reporting and other features. We are sorry that our support has not been very helpful to you. I shall definitely pass this feedback to the concerned team. "Easy and fast reporting and analytics/Great support"
Chargebee easily allows me to review reports (i..e. new subscriptions, overdue invoices) and have complete visibility into our inbound payments. Also, the Revenue Story feature is amazing - we can segment by department (Customer Success, Sales, Executive Level) and see the in-depth metrics that are valuable to specific departments. Thank you for taking your time out to review us. We really appreciate it. Happy to know that you find our Reporting features helpful. "Automating Finances, One Subscription at a Time"
We use Stripe for payment processing, and it has a solid system for subscriptions. That's why I questioned whether or not Chargebee would be a good way to spend over $1000/year on providing the same service as Stripe. Little did I know that you could manage subscriptions much more efficiently if you don't use the gateway directly. Features like auto capture for transactions and saving customer data are priceless to our workflow, not to mention the hundreds of integrations we get with Zapier. One thing I would like to have a better experience with is the integrations with Quickbooks, but this is not exactly something that Chargebee can solve - that's probably something limited by QB's API. Chargbee is a well-built platform that is designed from the ground up with developers in mind. They have managed to create a platform that is both easy to use and powerfully customizable. I would like to see more metrics and report graphs. I'd love to see a more customizable dashboard that allows you to choose custom date ranges and metrics. Chargebee allows us to handle both recurring subscriptions and one-time payments with our customers. They are the bridge between our product and our Stripe account. Glad to know that Chargebee is able to fulfil your subscription requirements, and that you are satisfied with the technicalities of the platform. Have you checked out the custom built dashboards in our Subscription Analytics Platform: Revenue Story? With the available reports in Revenue Story, you will be able to see how subscriptions and revenue, impact each other to drive the growth of your organization. PS: I will be reaching out to you shortly to understand your specific use case and opine on the next steps. We are very happy that billing and collection has turned into such an easy thing to do. We used to take a lot of time calculating, billing and collecting from every customer, now with Chargebee things get done in an easier and faster way. At the beginning it's quite confusing to understand how it works, with time you understand how it works, however, sometimes we don't have the time to get to investigate how everything works. There are still some minor bugs that need attention too. My guess is that as it's happening now, they will improve and eliminate these minor problems. Give it a try, once you try it you will discover that it's a wonderful tool! It has simplified our billing and collecting process, allowing us to invest that time on other important matters, instead of having 2 to 3 people doing this job now I can do it on my own saving time and resources. It would be nice if we could create default option selections so that, for example, we wouldn''t need to remember when to have auto-collection on and when to have it off. As it is, we need to have a list of steps and options selections at hand when creating new customers, subscriptions, and invoices. Encourage you to use Chargebee. Effective way to process payments online. Thank you for taking out time to leave us a review. "Powerful and Simple, but also Atrociously Ugly for some minor details"
The API is pretty good, easy to use and the doc is tremendously good. Managing clients and their subscription is a breeze. The whole system is pretty robust and generally we're very satisfied with the whole integration we made with our systems. Managing active coupons is pretty ugly, it's been improving, but it's far from being efficient. Support is sometimes a bit disconnected from their customers needs. While they are extremely nice and polite people, there were few occasions where I had to literally write an essay to explain them why my bug is happening and how they could solve the problem easily. Most of the time, their "fix" didn't work the first time around and some bugs took up to 3 months to solve. I think most of the kinks have been ironed out for the API side. When I started integrating their API into our systems, they were still only in their 1st year offering the API so many things were missing or outright wrong. There are still some quirks, but overall its a great system and would recommend it. "Great tool to handle subscriptions and EU VAT"
There is not much to dislike to be honest. Make use of their onboarding service. They will walk you through all the steps needed to set up your account and configure your subscriptions. Chargebee helps us at riddle.com to handle our global subscriptions. It offers all the payment methods needed plus automated EU VAT handling. Thank you so much for your kind and positive feedback. "Truly Excellent Invoicing and Billing Software"
I LOVE their customer service. Just absolute love. They are very detailed and pay so much attention. Also, your first $50k is on them! INSANE and SUCH a great gesture for very small business owners starting out just like me. Honestly, we really need all that help, a whole bunch of us struggle to make decent money to pay the bills for many months. I'll always recommend Chargebee like crazy. Hardly anything, but if I were to be nitpicky, it really is as they say it is, a billing system for SaaS. And that means that if you're not a developer or not familiar with code, you're going to take quite some time sorting through everything since it can get super customized. Should you ever need any help, contact Customer Support. They are truly attentive to your needs. I solved my billing and auto recharging problem. Also, my invoices look so great, very professional. * We monitor all Chargebee reviews to prevent fraudulent reviews and keep review quality high. We do not post reviews by company employees or direct competitors. Validated reviews require the user to submit a screenshot of the product containing their user ID, in order to verify a user is an actual user of the product.